The method professional whitening we use in our office is tray whitening. In tray whitening, an impression is taken and a custom tray is made for the patient. Then, a supply of whitening gel is given to the patient and he/she wears the tray for a few hours each day (techniques differ) for a period of time until an acceptable result is achieved. Sensitivity of the teeth is a normal side-effect of this whitening method and is almost always transitional. 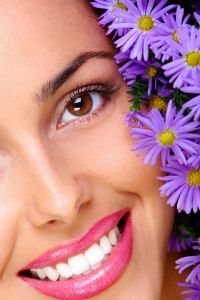 Dr. Susan Creech and Dr. Trevor Lawson believe in the KOR whitening system, as they have seen the BEST results over any other system available. Please see the videos below to see how KOR whitening can help you achieve the WHITE teeth you have always dreamed of having!